The 6.9 MMS (moment magnitude scale) Loma Prieta earthquake that struck the San Francisco Bay Area on October 17, 1989, not only killed 63 people and injured an additional 3,757, but caused the upper deck of the East Span of the San Francisco–Oakland Bay Bridge to collapse onto the lower deck. 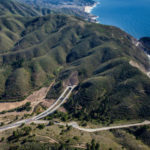 The California Department of Transportation (Caltrans) decided that the best and most cost-effective option was to replace the seismically vulnerable bridge that first opened in 1936 with a new East Span. At 2,047 feet long and 258.33 feet wide, the new East Span is considered the longest single-tower, self-anchored suspension span (SAS) bridge in the world – and the world’s widest bridge. The $6.4 billion project would become the State of California’s largest public works project to date. It is designed to support 10 lanes of traffic and more than 270,000 vehicles per day. 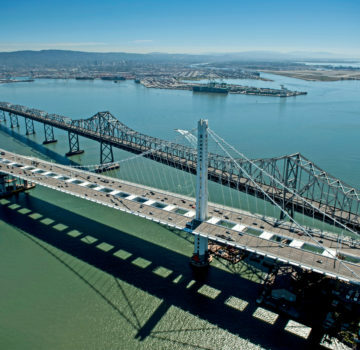 The structure, which was designed to have a 150-year lifespan, comprises four seamless and interrelated components: the SAS, with the main span length of 1,263 feet; the 1.3-mile-long Skyway Bridge, an elevated segmental concrete box girder that ascends from the Oakland shoreline to connect to the SAS; the Oakland Touchdown, a 4,229-foot low-rise posttensioned concrete box girder that links the East Span to the Oakland shoreline; and the Yerba Buena Island Transition Structure, a 1,542-foot posttensioned concrete box girder that connects the SAS to the east portal of the Yerba Buena Island tunnel. The bridge is located in a high seismic zone and situated between 2 major faults capable of producing large earthquakes. Therefore, the new East Span was engineered to deal with the most powerful of earthquakes by designing it to be self-anchored with cables attached to the roadway as opposed to the ground, by having the tower built in 4 sections to allow it to bend, and by having some of the pilings angled to distribute earthquake vibrations. 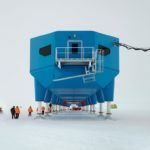 Among the many seismic engineering advancements incorporated into the structure are the 4 steel legs of the SAS tower, connected by fusible shear link beams. It is the first bridge of any kind to use fusible shear links in its tower to protect tower shafts during an earthquake. It is also the first bridge on this scale to use a single, prebent, 3-dimensional suspension cable. 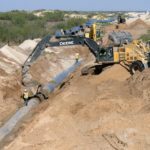 Wrote the OCEA jurors, “The project team worked with the communities to create a project that met their needs both functionally and aesthetically [but] it is the scope of the project, not any one achievement, that is remarkable. 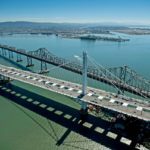 This is a very unique transformative project: [it has the] world’s longest single-tower self-anchored suspension span, [it has the] world’s largest precast segments, [the] project overcame significant seismic challenges, [and it is a] high-profile project built with minimal inconvenience to road users during construction.